The focus of the work is twofold. 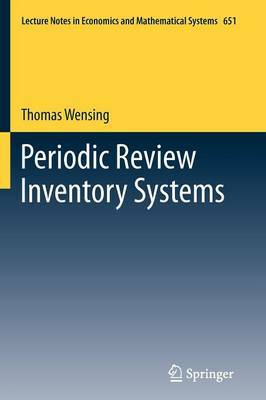 First, it provides an introduction into fundamental structural and behavioral aspects of periodic review inventory systems. Second, it includes a comprehensive study on analytical and optimization aspects of a specific class of those systems. For the latter purpose, general solution methods for problems of inventory management in discrete time are described and developed along with highly specialized methods to solve very specific problems related to the model variants examined. The work is thus addressed to students and practitioners who seek a deeper understanding of managing inventories in discrete time as well as to software developers who require implementation aids on specific problems of inventory management.